Every year, you find yourself facing a similar problem, after an event or congress ends – how do you mark the event? After every event, you need to organize an official gala evening. A gala evening will help you highlight and celebrate the work that you have accomplished. A gala evening is an important part of a successful event and you need to carefully plan and prepare for it. A gala evening doesn’t just mark the end of an important company event; it also lays the basis for your company’s future endeavors. A gala evening is a simple and effective way to thank your employees and celebrate their achievements. This corporate party is also a good way to establish your company’s character and highlight its value. In this post, we’re going to share with you a list of steps that you should take in order to organize a successful gala evening. You want to arrange a gala evening that is fun, original, and memorable. Choose a theme that is not just lively and fun but also reflects what is important to your company and its employees. You want something that fits your company and its culture. You should also try and highlight you company’s values. Once you choose a theme, you should easily be able to choose the food, music, and activities for the gala. Remember, the theme should elicit positive emotions in the participants such as nostalgia, enthusiasm, pride, and happiness. After choosing your theme, you then need to choose a space that can accommodate your plan’s for the evening. You need to choose a place that is not only attractive, but a place where you can easily arrange the activities you want such as dancing, cocktails, speeches, games, etc. Another thing to consider when choosing a location for your gala evening is how you will decorate the space. You want to be able to personalize the room. For example, you might want to decorate in your company’s colors or incorporate your company logo. 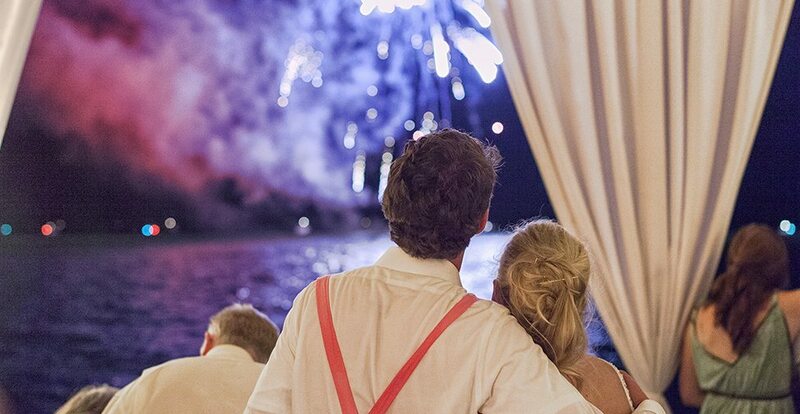 For a memorable event, you might also try having your gala evening in a memorable location. You don’t have to stick to conference rooms or ballrooms. Try having your gala evening in a historic restaurant or beautiful garden. Remember, you want to create a unique and memorable experience for your participants. Once you have your theme and venue, the time has come to choose the activities. The activities you line up for your gala evening will set the tone and atmosphere of your event. Indeed, these activities are most likely what will set your event apart and what the participants will remember for a long time. The activities you choose should be timely and attractive. They should create a positive atmosphere and leave positive memories. The first step to making sure your event happens according to an orderly timeline is to make sure that you send out informative and timely invites. You need to inform you invitees of the event in advance so that they will know to save the date. Create invites that are not just timely but also give the invitees an idea as to what the event is about. The invites should reflect the theme of the event. It is also a good idea to give invitees all the information they need. Make sure your invite clearly states the time and venue. A rough program of activities will also help drum up enthusiasm among your invitees. Having some sort of giveaway that your guests can take with them after they leave the event is also a wise move to make. This will help them remember the pleasant evening they spent at your event. You might also want to use social media, a Twitter Hashtag, or a Instagram page to make sure that the event stays fresh in your invitees minds. Gala evenings are not just appreciated but are often times expected after a successful event. It is important to have one that evokes positive feelings among the participants as this strengthens internal bonds and conveys a positive external image. Make sure your gala evening highlights what you have already accomplished and touches on the goals that you still wish to achieve. Decorations are an important element for an event, they should not be neglected. Décor choices can make the difference between an event being bland and forgettable or an unforgettable masterpiece. The proper decorations for an event require attention and an eye to detail. Every aspect of event décor, from the color of the table cloths and they types of tables, needs to be planned and coordinated. It is wrong to think that an event comes together just due to the quality of the entertainment offered. Good and appropriate event entertainment is easy to attain, with good advice and with good knowledge of who your guests are and the latest trends. What really makes a difference to your event, make it truly unforgettable, are the details placed on the event decorations. You need to be careful to ensure that the decorations aren’t just beautiful, but that they convey the message you want to send with your event. Why are you organizing an event? The answer can be clear and simple: you are organizing it to give pleasure and give your guests the gift of a special and cherished memory. But that is not the only reason to organize an event. Though your event, you are also looking to communicate a message about your business. An event can deliver an effective message about a new promotion or part of a brand marketing campaign. An event can tell your guests about your company’s image, your values, and your positioning. You want your event to highlight positive things about your company. You also want your event to make a positive impression on your guest and as such, you don’t want to arrange an event that is banal and quickly forgotten. In order to throw an event that will stick in your guest mind, you need to create an environment that is magical, enchanting and will create a fantastic memory. By ensuring your event venue is decorate beautifully and appropriately, you can leave a good impression in your guests mind. You need to illuminate or darken a room to create an appropriate atmosphere and create an comfortable and beautiful place for your guests to mingle. You need to have rich and beautiful decorations to add to the atmosphere you want to create. Your ultimate goal is to create a unique universe for your guest to occupy that makes them want to talk and mingle and create connections. By taking care of your décor, you simulate their senses and help them remember the event fondly. Though the use of décor you will enhance the events atmosphere. You want your event to seem personal and to create a unique memory. A good way to create an unforgettable image with positive associations to your company is to incorporate your brand colors in your event decorations. How to decorate your event? First, think about the entertainment you want to provide and the overall theme you want to have for your event. Your decorations should match your ideas on what kind of event you want to have. You can also start from the other end, think of a general theme and then start thinking of what kind of entertainment you want to provide and then what kind of décor you need to fit your theme. You can get a lot of inspiration from sites such as Pinterest on themes and decorations for events. Don’t forget, it’s important to be trendy and up-to-date when throwing an event. Going to sites such as Pinterest will help you know what is “fashionable” for events now. Personalization of decorations for events are also important. 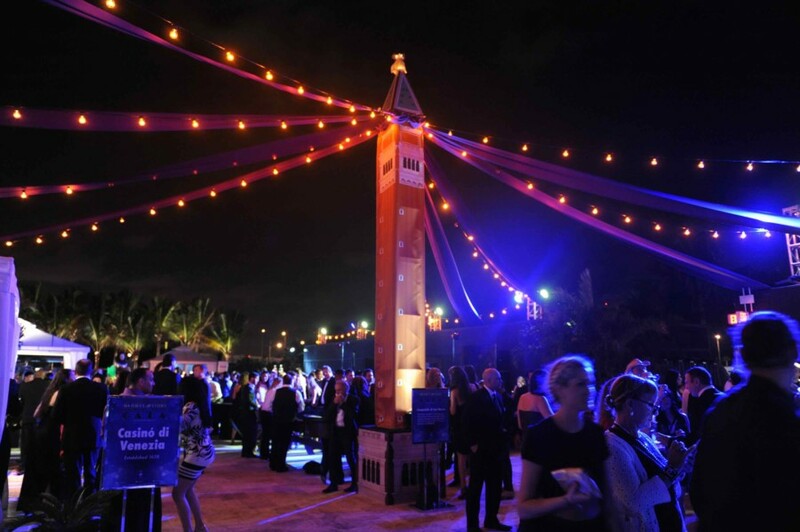 You can personalize your event by ensuring that you incorporate elements of your company branding in the décor. You can use your logo and other branding design elements in your décor.